SHOP Lakeview and Get $50!! 1. Shop locally and save your receipts in the provided envelope. 2. 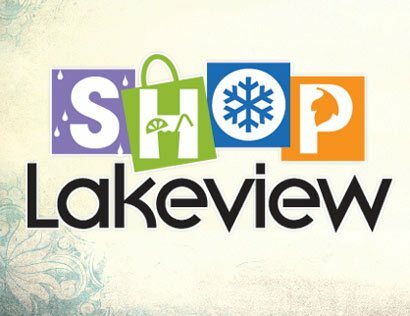 Collect $300 worth of receipts from 5 or more Shop Lakeview merchants between Nov. 1st and Dec. 31st. 3. Turn your envelope and receipts into the Lakeview Chamber of Commerce at 1409 W. Addison and receive $50 in SHOP Lakeview Dollars for every $300 in receipts. Note: The SHOP Lakeview Dollars are redeemable at over 100 Lakeview Businesses. Check out the full list here! Eye Spy a Rainbow Scavenger Hunt!